In the last 12 years Wilderness have been operating in this sector, they have seen the area resurge due to a frontier ecotourism presence generating revenue for the park’s operational budget and serving as a catalyst for a variety of conservation and community projects. A recent aerial survey (October 2017, ten years after their first) revealed significant growth in the populations of a variety of species occupying the different habitat zones. Among the woodland species the Lichtenstein’s hartebeest has increased by 78%, among the dryland species the Blue Wildebeest has grown by 113% and for the wetland species, the population of Red Lechwe has increased by a massive 487% since 2007. Poaching in this area of Zambia used to be rife, so this news is a real breakthrough. In the past 10 years the population of elephants in the Kafue has increased by 3%, meaning it is now home to the second largest population in Zambia with more than 8000 individuals in the park. Whilst 3% might not sound a lot, in other parts of Africa, numbers are dipping rapidly. Wilderness Safaris is Africa’s leading authentic and sustainable eco-tourism company operating in eight African countries. Inspired by the wild and untamed nature of Zambia, its luxury eco-camps are located in some of the most spectacular wilderness areas of this country. 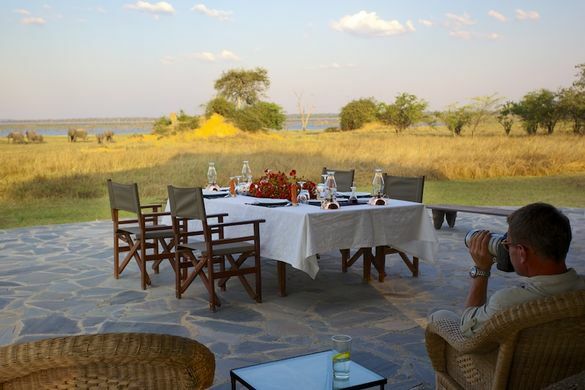 Zambia is vast and largely unexplored but truly rewarding as a wilderness destination. The goal is to share these wild areas with guests, while also helping to ensure the future protection of Africa’s spectacular bio-diversity. Deep in the wild heart of Southern Kafue, Konkamoya is the only lodge on the Itezhi Tezhi Lake, the obvious gateway between Victoria Falls and Central Kafue/Busanga Plains, easily packaged whether you are coming from Lusaka or Livingstone. With no surrounding fence, Konkamoya blends seamlessly into the surrounding bush and can accommodate a maximum of just eight guests at any one time.